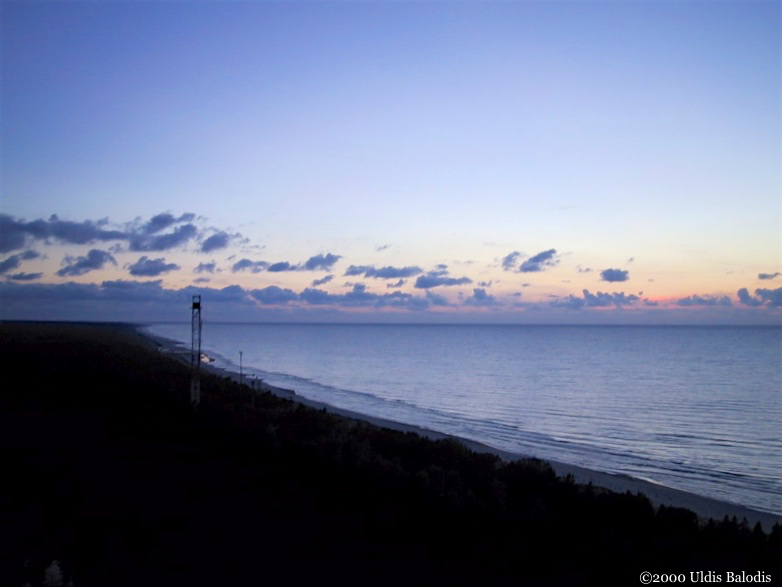 Before I even arrived that sum­mer, I’d thought of hik­ing through the coast towns. Repeat­ing their names — Pizā, Pitrõg, Sǟnag, Vaid — felt mys­ti­cal. May­be like an incan­ta­tion uttered to Mier­jemā, Ocean Moth­er. I couldn’t be sure. The Livo­ni­an Fes­ti­val that round­ed out the weeks of the Livo­ni­an youth sum­mer camp had end­ed. 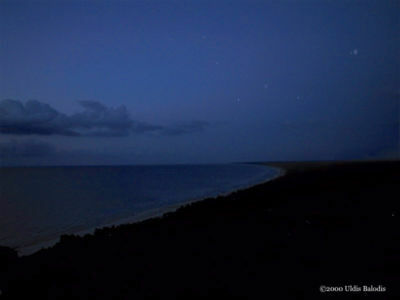 By coin­ci­dence I’d over­heard the camp teach­ers talk­ing about a plan to explore the coast and its com­mu­ni­ties. Soon I became part of their group, and tonight we were on our way. 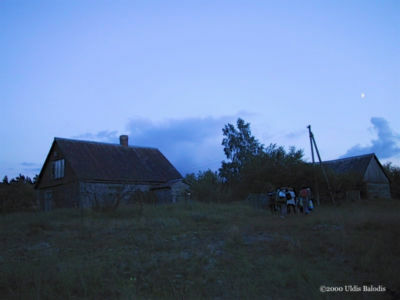 Arriv­ing in Pizā, the last light of the evening was already fad­ing. 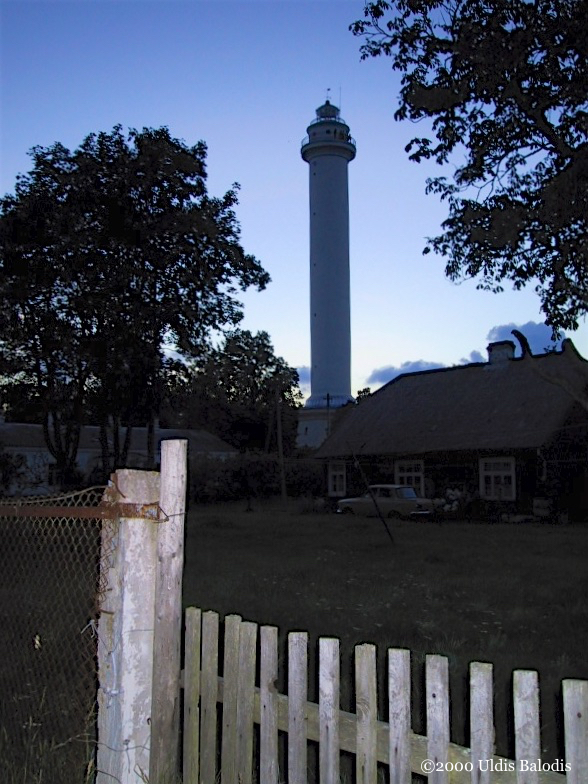 We dropped off our things and walked on to the light­house, the fix­ture of the town and the source of its Lat­vian name, Miķeļ­tor­nis, or Michael’s Tow­er. We walked swat­ting at the air. That night it seemed as if all the mos­qui­toes in the world had con­verged on us in this one lit­tle town on the coast. Our way cast ever dark­er by the van­ish­ing light of the day, the walk to the light­house fol­lowed a mean­der­ing path. A path that took us through what seemed like main­ly front yards and under­brush. I kept close to my friends walk­ing ahead of me, so not to get lost. There was no way that I was going to miss my chance to see what the world looked like from high atop the tow­er. We climbed the stairs to the top of the light­house. Look­ing west, the sun had already set, the clouds, the slate grey of the sea, hugged the hori­zon. 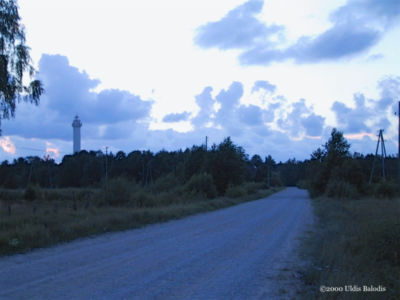 I turned north, towards the Esto­ni­an island of Saare­maa. At its south­ern tip there is a light­house. Every night from the beach I would watch it blink­ing at me from across the open water. Its inter­mit­tent light twin­kling, just like the stars in the deep black vel­vet of the night sky over­head. That evening I was lucky enough to catch the flash of the light­house, just as its lamp turned to face us. 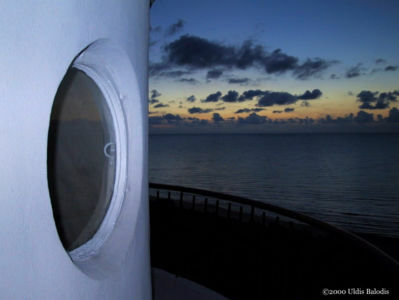 The evening sky and sea from the obser­va­tion deck of the light­house. 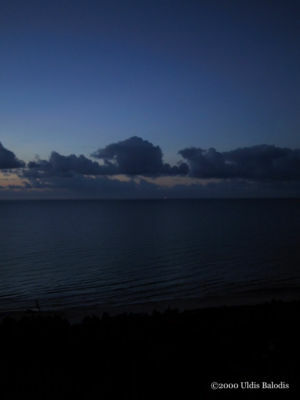 Look­ing east, the forests have grown dark as the coast curves away into the night.